All in one style for additional open shelving. Neat drawer design for messier storage. 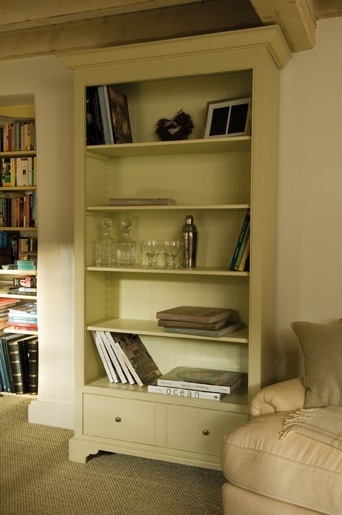 With its elegant cornicing, adjustable shelving, beautifully crafted drawers and soft hand painted finish the Chichester bookcases are the perfect home for your favourite novels, photos frames and personal accessories. Choose from one of our original paint colours to suit your own scheme.